The Personal Pension Plan™ been covered by some of the greatest content distributors in Canada including The Globe and Mail, SiriusXM, Financial Post and many more. Canada is talking - awareness is increasing. Be the first to learn about how to manage your retirement with the maximum amount of benefit. “How to get a competitive pension plan as a small business owner.” BNN, 16 Oct. 2017, www.bnn.ca/video/how-to-get-a-competitive-pension-plan-as-a-small-business-owner~1233314. Taxevity. A True Pension Plan for Business Owners: Jean-Pierre Laporté . Tea At Taxevity #72, 04 Feb. 2015. Web. 29 Dec. 2016. <https://www.youtube.com/watch?v=qRvmO-DEPPA>. Personal Pension Plan. INTEGRIS PMC, 18 Sept. 2015. Web. 29 Dec. 2016. <https://www.youtube.com/watch?v=0yVwBSoJTgE>. Highviewfin. YouTube. HighView Financial Group, 08 Sept. 2015. Web. 29 Dec. 2016. <https://www.youtube.com/watch?v=AK7G6NeuhPU>. Borkowski, Mark. "Personal Pension Plans." 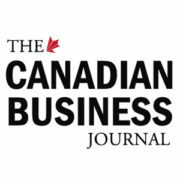 The Canadian Business Journal. N.p., 17 Jan. 2016. Web. 10 Jan. 2017.<http://www.cbj.ca/personal-pension-plans/>. Accountants, MP Group Chartered. "Personal Pension Plans In Toronto." MP Group CPA. N.p., n.d. Web. 29 Dec. 2016. <http://mpgroupcpa.com/post/personal-pension-plans-in-toronto/>. Carthy, Reid. Richardson GMP. N.p., 06 Jan. 2016. Web. 29 Dec. 2016. <http://dir.richardsongmp.com/web/the.horwood.team/blog/1064510-Introduction-to-Personal-Pension-Plans-Video>. Cooper, Sean. "PPP®: A Personal Pension Plan for Small Business Owners." Retire Happy. N.p., 2015. Web. 29 Dec. 2016. <https://retirehappy.ca/personal-pension-plan-ppp-small-business-owners/>. Heath, Jason. "Why Business Owners Shouldn't Bother With An RRSP." Objective Financial Partners. N.p., 09 Feb. 2016. Web. 29 Dec. 2016. <http://objectivefinancialpartners.com/why-business-owners-shouldnt-bother-with-an-rrsp/>. "INTEGRIS Pension Management Corp. and BDC - Investing in the future." BDC. N.p., n.d. Web. 29 Dec. 2016. 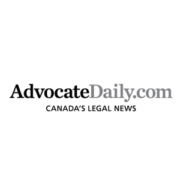 <https://www.bdc.ca/en/business-centres/news/pages/integris.aspx>. Johne, Marjo. "No pension plan? A solution for those fending for themselves." 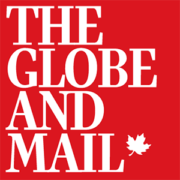 The Globe and Mail. Special to The Globe and Mail, 18 Nov. 2013. Web. 29 Dec. 2016. 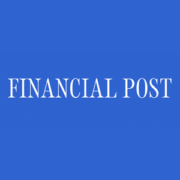 <http://www.theglobeandmail.com/report-on-business/small-business/startups/no-pension-plan-a-solution-for-professionals-and-entrepreneurs/article15465872/>. Maurino, Romina. "Personal Pension Plans." Finpipe. N.p., 20 Dec. 2015. Web. 29 Dec. 2016. <http://www.finpipe.com/personal-pension-plans/>. "Personal Pension Plan." Dedicated Financial Solutions. N.p., n.d. Web. 29 Dec. 2016. <http://createwealthnow.ca/personal-pension-plan/>. "Personal Pension Plans." The Blunt Bean Counter. N.p., n.d. Web. 29 Dec. 2016. <http://www.thebluntbeancounter.com/2014/12/personal-pension-plans.html>. "Personal Pension Plans." Centre Square Solutions. N.p., n.d. Web. 29 Dec. 2016. <http://centresquaresolutions.com/personal-pension-plans/>. "Personal Pension Plans." Podium Prosperity Group. N.p., n.d. Web. 29 Dec. 2016. <http://www.podiumprosperity.com/business-advisory-services/pensions-succession-plans>. "Personal Pension Plans." ICMCanada. N.p., n.d. Web. 29 Dec. 2016. <http://icm-canada.com/personal-pension-plans/>. "Taxevity." 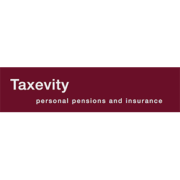 Personal Pension Plan™ (PPP®) - Taxevity. N.p., n.d. Web. 29 Dec. 2016. <http://www.taxevity.com/ppp>. Waxman, Mark, and Gillian Johnston. "What Every Incorporated Professional Should Know About Pension Plans." Crowe Soberman. N.p., 16 Feb. 2016. Web. 29 Dec. 2016. <http://crowesoberman.com/blog/personal-pension-plans-what-incorporated-professionals-should-know/>. The Experts Hour. 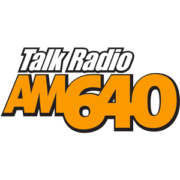 AM640. Toronto, Ontario, 18 June 2016. AM 640. Web. <https://omny.fm/shows/640-toronto/international-capital-management-june-18-2016>. Krystal, Andrew. "Money." Krystal Nation. SiriusXM. Toronto, Ontario, 10 Dec. 2016. Krystal Nation. Web. 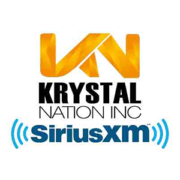 <https://www.krystalnation.com/segments/Krystal-Nation-Ep-3-Seg-3-Money>.